When I say that you can point a camera anywhere at Tokyo Disney Sea and capture a spectacular shot, I mean it. There is rich detail everywhere and plenty of beautiful sights and angles. Even a general view down a river can produce some splendid sights, such as this one below that shows off the spires of the Arabian Coast and the whimsy of Mermaid Lagoon. The two lands are drastically different as far as theme, but they're both fantastic and quite pretty. It really does prove that this place is a sea of dreams! 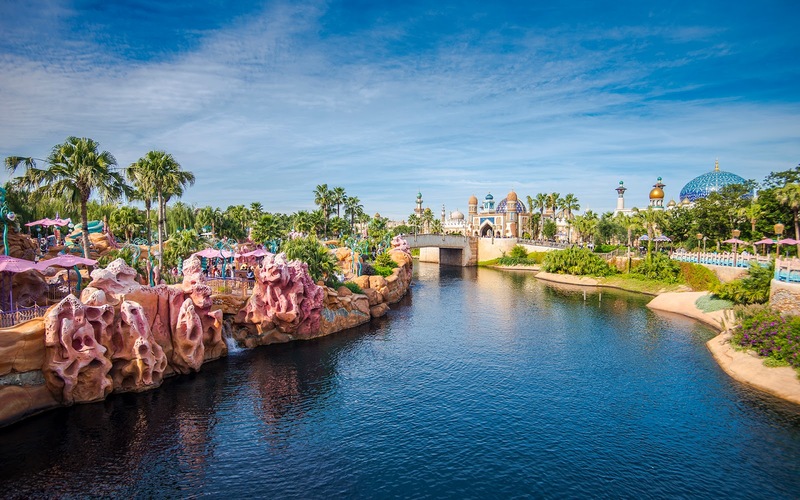 A view down this waterway shows both Mermaid Lagoon and the Arabian Coast!